Some of them can be used for the same stuff, the only difference being their requirements and other details. Let’s say, for instance; you are, all of a sudden, in dire need of Rs. 1,00,000. It is not a small amount, so you approach the bank for a loan. The bank is willing to provide you with an unsecured Personal Loan, or you can apply for a loan against securities. How will a Personal Loan help you out in your emergency? A Personal Loan is an unsecured amount of money lent to you by a bank or NBFC. You can use this amount for your personal needs and smoothing out emergencies. Let’s say; you go to Bank of Baroda to get Rs. 1,00,000. You can Apply for a Bank of Baroda Personal Loan to fulfil your immediate requirements. The bank will check whether you qualify for the loan by taking into account your age, income, expenses, loans and credit score. 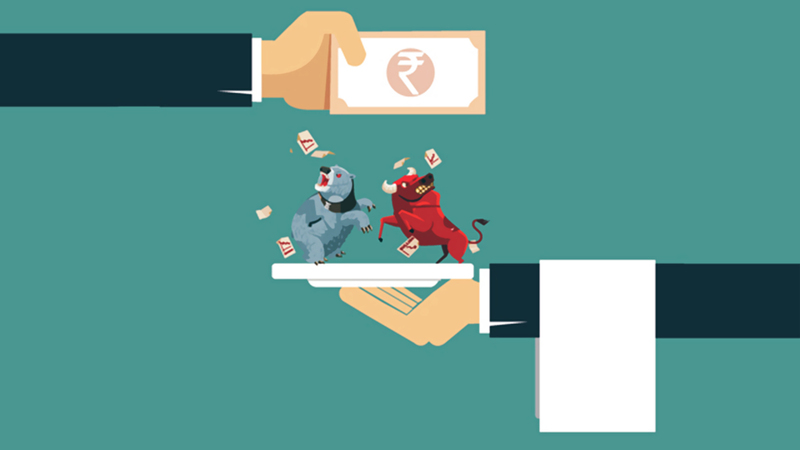 A loan against securities is that amount lent to you by a bank or NBFC against a pledge of shares, mutual funds or life insurance policies owned by you as collateral. How does a loan against securities work? A loan against securities is offered as an overdraft facility after deposition of securities in your account. The lender charges interest only on the amount you draw and for only that period until you use it and return it. This means that if you have been offered by the bank, a loan against shares worth Rs. 1,00,000, and you draw Rs. 20,000 as a loan against securities and return it within two months back into your account; the lender shall charge you interest only for two months. Lenders have a specified list of securities against which they provide loans against securities. You can approach a bank or NBFC with your portfolio and get a loan against it. A loan is created against the securities you deposit in the bank. Typically, this ranges from around 50% to 90%, depending on the type of security. Then, the bank sets up a current account with an overdraft facility for you. This account has borrowing limits set according to the type and amount of securities put up as collateral. You can draw money according to your needs and repay the amount simply by depositing it back into the account. Typically, the interest is charged monthly by daily outstanding balance. How to get a loan against securities? Applying for a loan against securities is not unlike how you would apply for a Personal Loan. That is to say that you need to reach out to a bank or NBFC, meet their eligibility requirements, fill out and submit the application forms and apply for a loan against securities. Which is better: a Personal Loan or a loan against securities? It depends on what you need the money for and what are your resources. If you do not want to pledge security as collateral to the bank, the Personal Loan is suitable for you. Otherwise, the loan against securities is a good option. Generally, since a loan against security has collateral against it, the banks provide these loans much more readily and at a lower rate of interest than Personal Loans. On the other hand, the very fact that a Personal Loan does not require any security makes it much easier to procure, because, to get a good sum of money as a loan through a loan against security you need a somewhat big and costly portfolio of securities. When you Apply for Personal Loan, you need to meet a lot of eligibility requirements required by the bank, like, minimum and maximum age, the minimum amount of time having been employed, salary, credit score and a lot more. You need to apply for at least a minimum, a fixed amount of money, but cannot go further than a maximum limit for a Personal Loan. Even then, when you do get the money, you need to pay interest on the whole amount, regardless of how much or how little you use. You need to return the money on a fixed schedule within the agreed-upon loan tenure. When you apply for a loan against securities, you still need to meet a lot of lender’s minimum qualifications or eligibility requirements. The minimum or maximum amount is decided by how much amount of securities you pledge to the bank as collateral. And, when the amount is cleared, you can draw from your current account without having to worry about being charged interest on the whole amount. Instead, the borrowed amount is the only part on which the lender charges interest and, only for that time you have not returned the money. There is, however, a major drawback to applying for a loan against securities. You can only get a loan amount sanctioned, which is less than the amount of securities you put up as collateral. So, both, Personal Loan and loan against securities have their advantages and disadvantages. Before you apply for either, it is advisable to conduct proper and in-depth research and analysis to understand what suits your need the best.